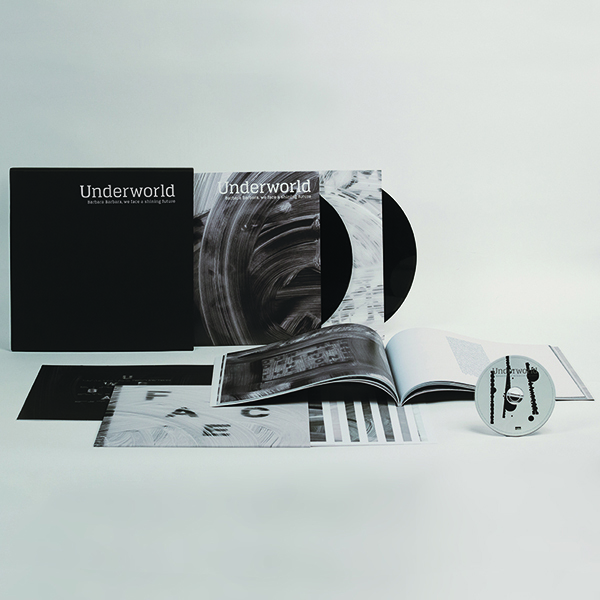 Underworld’s first new studio album in 6 years, Barbara Barbara, we face a shining future, now available to pre-order ahead of release on 18th March 2016. This package includes the 180gsm heavyweight vinyl - cut at half speed, CD and 60 page 12x12” book of original artwork by tomato. As well as an exclusive set of 7 12x12” art prints and a test pressing of the track Twenty Three blue, which doesn’t appear on the album. This test pressing is only available as part of this package.